Just back from Japan with a bunch of Oasis collectables packed in the suit case. I thought I would make an update on the previous Oasis-Japan post as it never ceases to amaze me just how much the boys are adored over there. Whilst driving, I heard ‘Lyla’, ‘Let There Be Love’ and ‘Falling Down’ on different stations. I’d be hard pressed to hear bloody Wonderwall on my local Golden Oldies station, yet in Japan they spin ‘Lyla’ ! Too cool ! 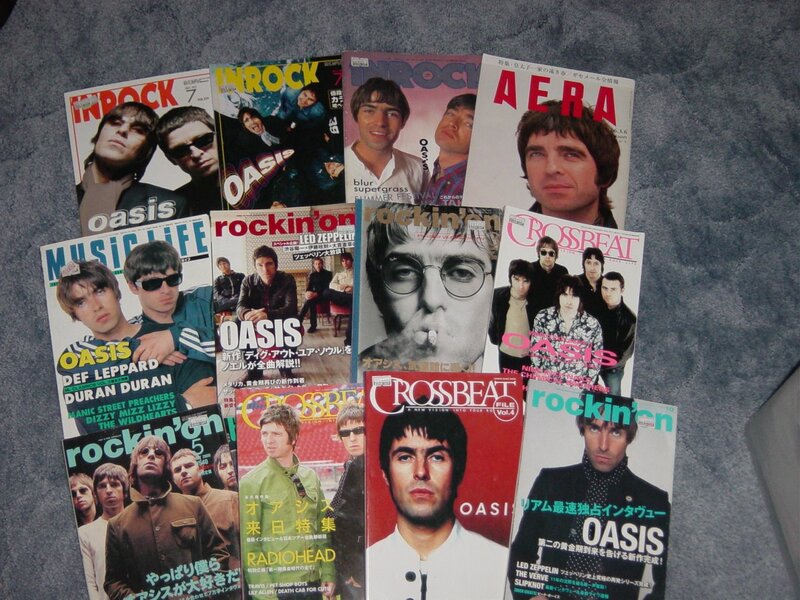 I also added to my Oasis Japanese Magazine collection and thought I would share. The magazines which feature Oasis gracing the cover are a collectable item all to themself and deserve further investigation. 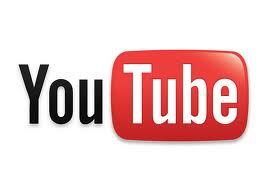 You know what’s cool about this topic ? Oasis may not even be touring or have a new album out, yet they still manage to make the magazine covers ! In my opinion, that speaks volumes for the band’s popularity in Japan. Check out the attached images from magazines dating back to 1994 – all of which feature Noely G, Liam, or the band. Rockin On, Cross Beat, In Rock and Music Life have all featured Oasis heavily. Of particular interset is Cross Beat from 2005 which in itself is a magazine (nearly 200 pages) which is ALL Oasis ! Rockin On from November 2008 even has a large color photo spread of the infamous (and cowardly) Canadian stage attack on Noel. Japan (like the UK) print awesome magazines on Oasis…the ones mentioned here are some to look out for when you visit Japan you when you’re next on eBay ! Man I love sorbet ice cream…especially melon and orange. 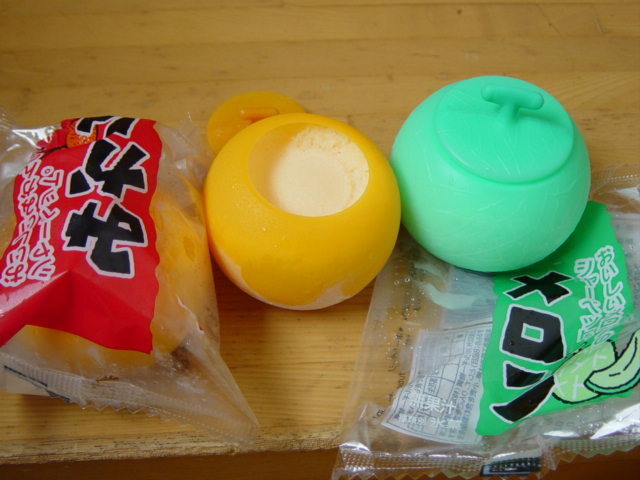 I’ve mentioned in a previous post that it is a little known fact the Japan produces sensational ice creams, and if the sorbet or sherbet ice cream is your thing, read on ! There are a couple of items available at the local supermarket (for as low as 84 yen) which are the business. You can also save the containers for re-use as they have a matching lid (see image). I’ve been to a couple of Tabi Ho Dai’s (all you can eat restaurants) where the desert bar contained sorbet ice cream and I’d quickly been hammered with the dreaded ice cream headache ! If you dig motorcycles, there are a couple of ‘super stores’ well worth checking out. 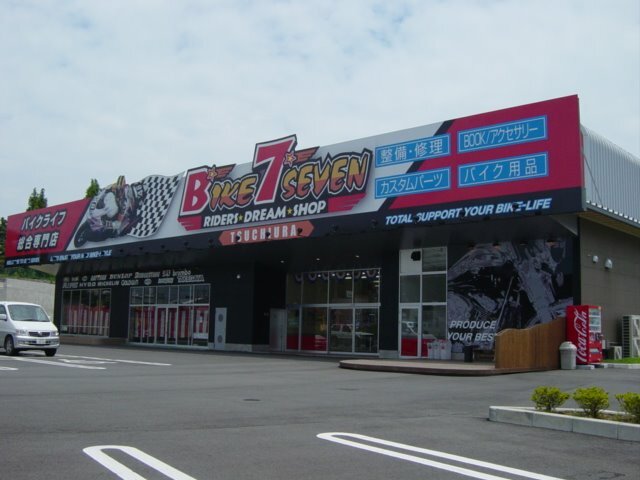 The Red Baron stores are great, so too the Bike Seven stores. 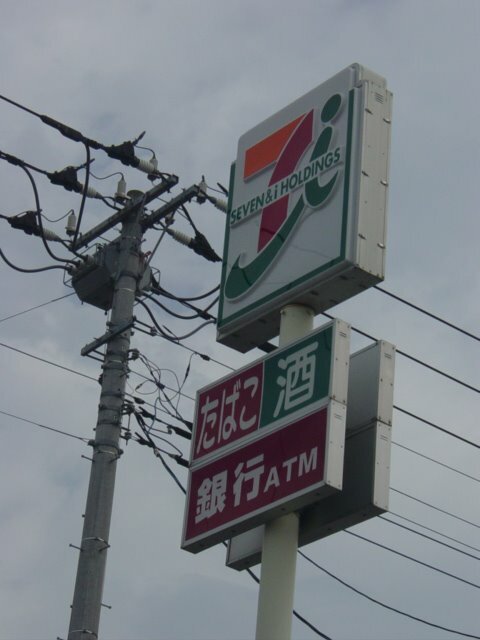 Their slogan says ‘Riders Dream Shop’, which indeed it is ! There is so much on display in these stores it is mind boggling. Jackets, boots, gloves, helmets, magazines a zillion accessories and so much else ! There is even a section of the store dedicated to girl riders ! How cool is that ! 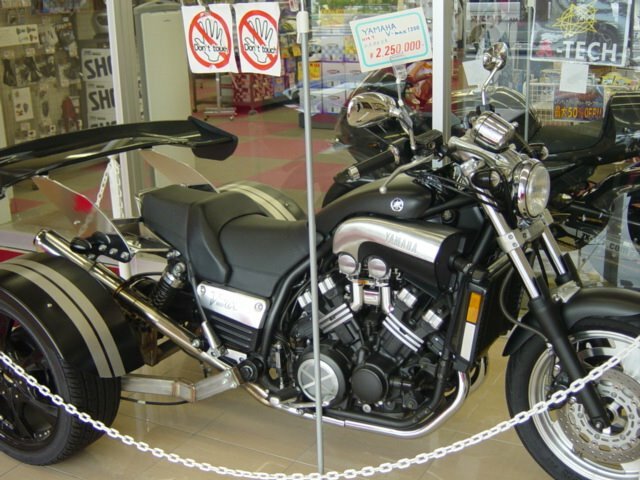 The image above is taken from the Tsuchiura store but locations can be found on their sites…Check out the awesome looking trike which was on display outside the store ! That old adage ‘you only get what you pay for’ could have been penned for Australia’s Jetstar Airways. The budget arm of Qantas, they fly daily to Japan and overall, I’d rate the flying experience as ‘pretty good’. That being said, if you live in an area of Australia which is not near a point of departure, you will have the added expense of getting there – ie Perth to Cairns. The flights I’ve taken to Japan with Jetstar were dayflights, so you either have to get up really darn early, or stay overnight at your point of departure. The sercice on the flight is adequate – not above par, just adequate. A bottle of water is placed on your seat before you sit down, and that is all you receive. Blankets, entertainment units, food and drinks can all be purchased. So here are some Japanavision tips: You are allowed 10kg of carry-on luggage, so pack a blanket and plenty of food. The flight attendants will provide you with boiling water, so why not bring coffee sachets and instant noodle packs ? As with all budget airlines, you are crammed in like sheep, so get up and stretch…walk around etc. Here is one thing I cannot figure… at Gold Coast International Airport you are required to hand over any drinks before you pass customs, but you can then purchase a drink BEFORE you get on the flight ! 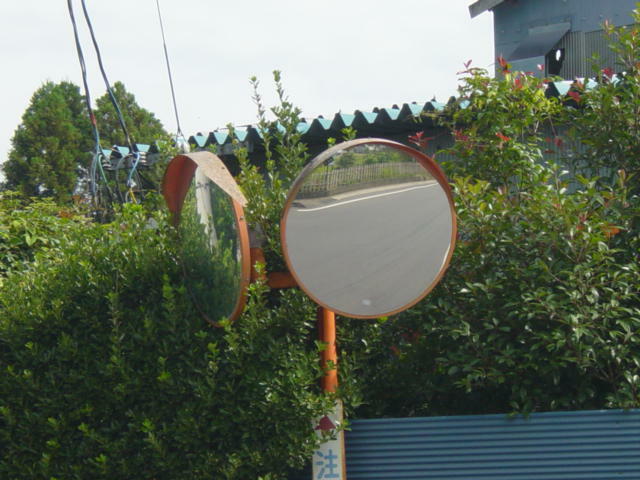 The streets all over Japan – especially at T intersections are often small with minmal vision. 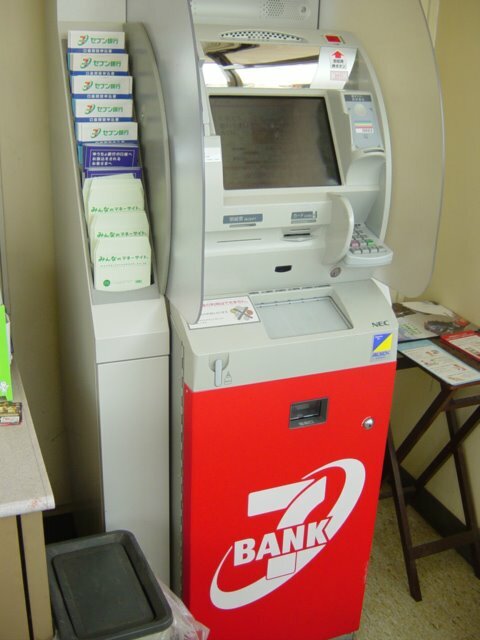 Subsequently, they install mirrors to assist you when making your turn. The sight of these mirrors is quite common for those who have lived here for years, but worthy of a post for those who have not. If you are under the false illusion that Japan is only the neon of Shinjuku, the lightning fast bullet trains and the constant stream of traffic think again. 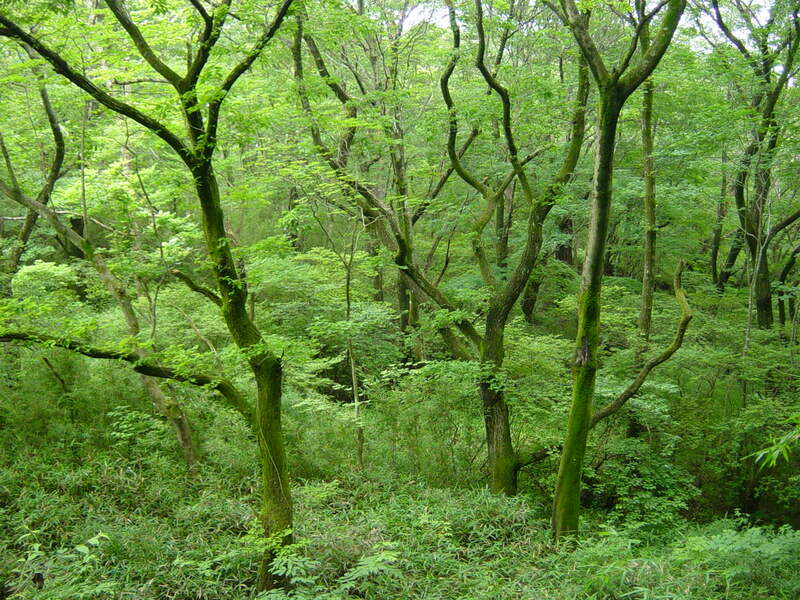 Check this stunning photograph I just took whilst out walking in the Nasu region – Tochigi Prefecture. There is much to do here, and I will add to this post later, but for now…just enjoy this stunning scenery !